Home filtration systems can provide assurance to families who rely on privately owned well water for bathing, brushing teeth, washing dishes, and more. Not only can such systems eliminate the strong, “rotten egg” odor and murky appearance commonly associated with well water, but they can remove harsh contaminants to provide healthier, fresher water in every area of the home. Among the many contaminants that may be present in well water and can be removed by home filtration systems are volatile organic compounds, or VOCs. These chemicals contain carbon and evaporate easily from water into the air. VOCs are commonly found in products like gasoline, fuel oils, household cleaners, solvents, pesticides, and paints. When improperly disposed of or spilled, VOCs can seep into the ground and affect water wells. VOCs are more likely to be present in the water of homes near industrial areas, railroad tracks, or gas stations, especially in areas where the soil is thin and absorbent. While the majority of VOCs are not commonly found in water, those that are water-soluble may pose significant health risks. 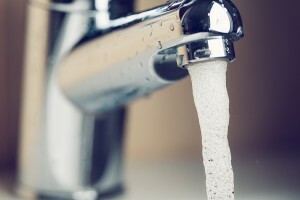 However, since water from private wells is not subject to the U.S. Environmental Protection Agency’s stringent water quality requirements, home filtration systems are an ideal way to ensure your family’s water supply is free of VOCs and other common contaminants like iron and sulfur. RainSoft, a leader in household water solutions since 1953, offers several types of problem-solving home filtration systems that effectively remove VOCs and other contaminants to provide healthier water better suited for your family’s use. After conducting a complimentary in-home water test, a RainSoft professional will determine the best whole house water filtration system for the problems affecting your water supply. To learn more about our innovative products that can take the worry out of your well water, contact your local authorized RainSoft dealer today.